We create complex 3D renders that are tailored to our clients exact requirements. CAD/CAM (computer aided design/computer aided manufacturing) refers to computer software which can be used for both designing a product and controlling the manufacturing process. It is a technology which has enjoyed an increase in popularity in recent years, as despite it still being quite costly, it is extremely efficient and can save thousands of man hours. By utilising CAD/CAM technology, we are able to accurately produce extremely intricate and technical designs, with relative ease. Here at Fastec Engineering, we can import most major file formats including Solidworks, ProEngineer, STEP, IGES and STL. Once received, they are entered into FeatureCAM, a CAM system which creates reliable, accurate tool paths for the machine to follow, and exports these as a machine readable output. This process allows our workship to produce complex 3D parts; something that would not have been possible without the help of CAD/CAM. 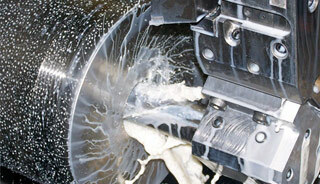 CAD/CAM technology is an cutting edge method for producing 3D parts and products. It can be particularly helping when designing prototypes, in order to ensure that accurate calculations are made. But it’s just as useful when producing large bulk order in making sure that the dimensions of each part are identical. The programmes we use effective combine innovative technology with simplicity of use, to streamline the entire manufacturing process. Fastec Engineering endeavour to follow the industry closely, regularly investing in new technologies which can improve the services we offer our customers. We aim to stay ahead of the game and on top of the competition at all times, and our CAD/CAM technology helps us to do this. If you’re looking for a leading precision engineering company to help you on your next project, why not give us a try? Call 01638 660186 or contact us online for more information.